Before joining DaVita, Lang led the international markets business at insurance provider Bupa. He has experience working in Europe, the Middle East, Asia and Latin America. According to the Leapfrog Group, 1,000 patients a day die from medical errors despite advances in technology and other improvements — like a decline in hospital-acquired infections. According to research presented at the National Kidney Foundation’s 2017 Spring Clinical Meetings, sudden cardiac death rates from 1996 to 2013 decreased only 19 percent. The condition was responsible for 52 percent of cardiac deaths in 1996, and 73 percent in 2013. 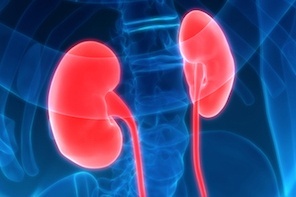 Vonapanitase, an investigational drug being tested for use in promoting patency of radiocephalic fistulas, has been found to significantly improve secondary patency and fistula use for hemodialysis. The drug is a recombinant human elastase that cleaves peptide bonds in elastin, the principal component of fibers in blood vessels that impart elasticity. Medical Technology Company Becton Dickson Acquires CR Bard, Inc.
Becton Dickson acquired CR Bard, Inc. for $24 billion. The acquisition will “create a highly differentiated medical technology company positioned to improve the process of care and the treatment of disease,” according to Nephrology News & Issues. It will combine Bard’s pipeline in vascular access segments with Becton Dickson’s work in IV drug preparation, drug dispensing and delivery. A survey of patients with CKD revealed many use engagement strategies — like confronting stressors — to help cope with their conditions. Researchers also found differences in the coping strategies used when a patient was diagnosed, if he or she has other health issues and his or her view of their health status.